Myofascial Release Therapy is not massage nor is it an invasive, surgical procedure. 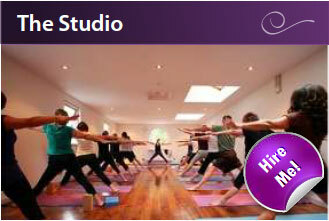 It is a hands-on treatment therapy which is safe, gentle and very effective. MFR Therapy is a complete treatment Therapy which continuously views and assesses your whole body and mind interrelationship. Myofascial Release (MFR) Therapy regards you as a unique individual. Focusing on your Fascial Tissue and the Myofascial System has been virtually ignored in the past. The Myofascial System provides support, stabilisation and cushioning throughout our body and provides us with the flexibility, strength and stability to move through space. 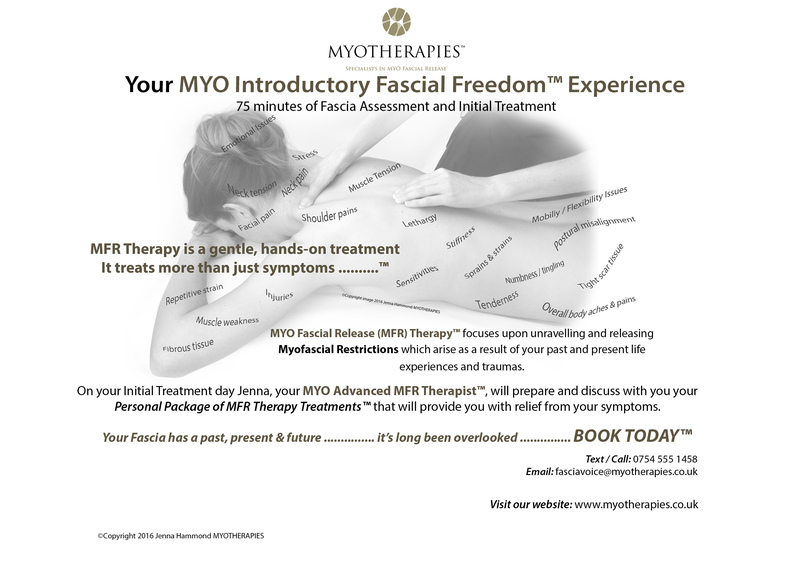 Our life experiences such as accidents, injuries, illness and other life stress issues can form Myofascial Restrictions which manifest themselves as symptoms. 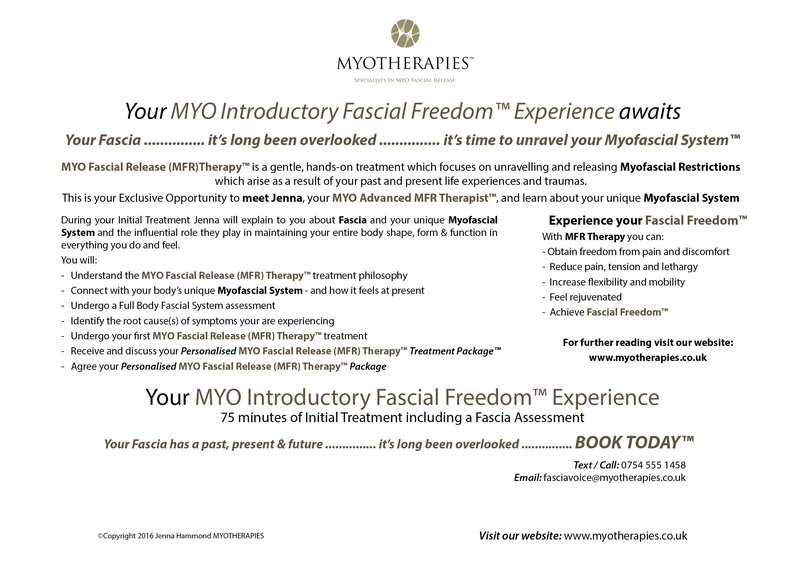 Myofascial Therapy provides you with release from Myofascial Restrictions which give rise to symptoms. The treatment does not follow a protocol and is never forced or led by the MFR Therapist. Structural Myofascial Release – this is the principle hands-on technique used during an MFR treatment. 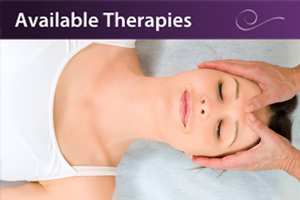 In addition, a Craniosacral Release treatment path may be followed. Your MFR Therapist works with the spine, the sacrum, the skull and its cranial structures and the Fascia therein. Having trained and qualified as an MFR Therapist in the USA, Jenna combines MFR and her existing Professional Therapist skills and experience to offer pain sufferers her unique style of MFR Therapy. Jenna’s own pain, discomfort, dysfunction associated with a Repetitive Strain Injury led her to discover MFR Therapy. It was 5 years ago when I was first introduced to Myofascial Release (MFR) Therapy. Through the failure of traditional therapies I was faced with the prospect of a surgical procedure to address carpal tunnel syndrome, a painful Repetitive Strain Injury and dysfunctional condition, in both my wrists. I was advised by my Consultant that there was no guarantee the surgical procedure would resolve the condition and that I would bear the scars. As a last resort he suggested I might consider a course of Myofascial Release Therapy (MFR Therapy). Surprisingly the MFR Therapy did not just treat my wrists. It continuously assessed and treated my whole body and mind inter-relationship. Upon completion of the treatments in USA, not only had my wrist condition been resolved but I also felt my entire being had changed. I felt as though my whole body structure had been replaced. My energy levels were enhanced. 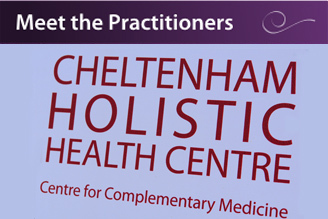 It was during the treatment programme that I learnt about the Fascial System and the important role it plays in maintaining the body’s shape, form and function. To this day my wrist condition has not re-occurred and, through regular ‘top-up’ optimisation MFR Therapy treatments, I am able to maintain my Fascia Freedom. For me MFR Therapy has been, and continues to be, absolutely life changing.